Feng represents clients from a variety of industries, including manufacturing, venture capital, education, biotech, pharmaceuticals, hospitality and technology. He often represents US companies and investors looking to expand to China, and Chinese companies and venture capital firms looking to invest in US companies and sell to US investors. 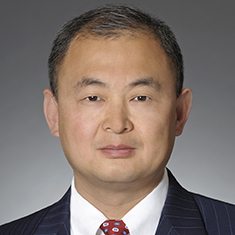 A seasoned practitioner of corporate law in the United States, Feng focuses his corporate practice on complex merger and acquisition transactions, securities offerings, middle market buyout fund acquisitions and venture capital investments. Feng has been quoted in Chinese and US media on issues related to doing business in China and cross-border M&A matters, including The Wall Street Journal’s TheStreet.com, The M&A Journal and China Business News. He is a frequent speaker on the legal issues affecting foreign investment in China. He is the co-author of Laws of the People’s Republic of China, Volumes III, IV, and V, published by China Science Press, and Western Corporate Laws, published by China Law Press. Prior to attending law school, Feng worked as a senior legislative officer for the Legislative Affairs Commission and Law Committee of the Chinese National People’s Congress, where he participated in the drafting of Chinese national legislation. Shown below is a selection of Feng’s engagements.